What are Denver’s best places to live? There are 79 official neighborhoods in Denver. Far too many, you might think to narrow down to only a select few. Let us then delve into the trendy places, transformed neighborhoods, preserved traditions, and quality investments. Whether you’re looking for a home to buy or sell; a change of environment for you and your family, or relocating to this city, find out the top neighborhoods in Denver in terms of price, trendsetting properties, walkability, and places for shopping, dining, and entertainment. This week, let’s take a look into the first seven neighborhoods in our list. This densely populated area in the center of the city has everything within its reach – bars, restaurants, music venues, shops – name it, you have it. Even the State Capitol Building is perched atop a hill. The revival of Capitol Hill from disrepair to a developed, urban area of Denver was a remarkable testimony of real estate in the city. Victorian homes stand alongside trendy lofts, condominiums, and chic town homes. With its proximity to the night life, Capitol Hill is a popular name among the singles crowd. This neighborhood is considered to be one of Denver’s most elite of the pack. Therefore, expect the prices of properties to be significantly higher. Purchasing a property in Cherry Creek is not just buying a home, but also paying for the premium of a Cherry Creek address. This upscale neighborhood is surrounded by art galleries; high-end boutiques, salons, and spas; restaurants and hotels, and of course, the uber-posh Cherry Creek Mall. This neighborhood is home to popular tourist attractions namely, the Denver Zoo, Denver Museum of Nature and Sciences, and Ferril Lake. It also boasts of an 18-hole golf course, a rose garden, and a water feature. No wonder City Park is Denver’s crown jewel. The close proximity to Colfax Avenue and downtown Denver makes this one of the best locations in the city. Homes are a mix of historic and modern, as well as single family homes and duplexes. If you are after a historic neighborhood, then Baker is for you. The Victorian homes that populate the streets are a breath of fresh air from the modernity of Denver. Broadway is nearby with n numerous bars and restaurants for more entertainment. And did you know that it is in Baker that Denver had its first Dunkin Donuts? Lower Downtown or what is tagged as LoDo is the neighborhood for the true urbanite with its high rise buildings, luxury properties, renovated historic buildings, converted warehouses, and really, simply a taste of the good life. LoDo is heaven for the architecturally-savvy folks. 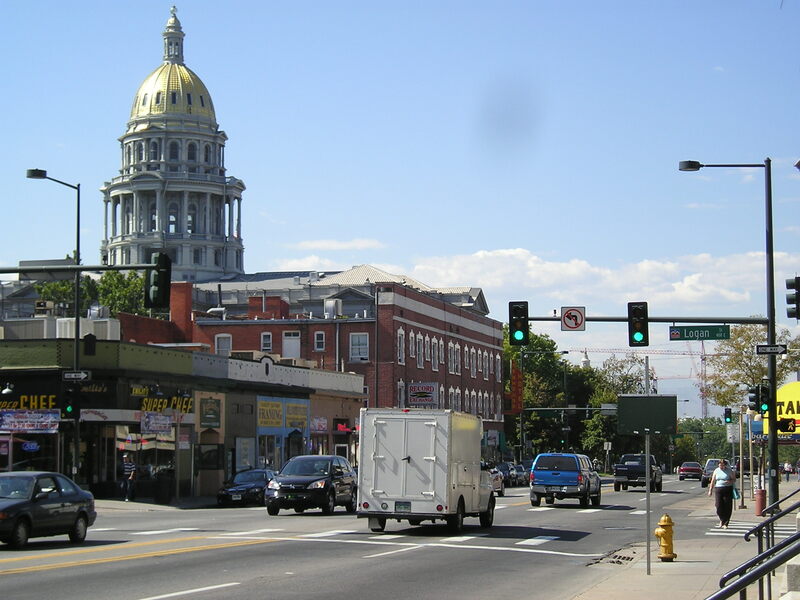 This area in Denver highlights the caliber of high living that one can experience downtown. The park is one of the largest parks in Denver with 162 acres of land. It also has several bike trails, jogging paths, tennis courts, a basketball court, 2 playgrounds, a fitness center, and an indoor swimming pool. Given that this area houses a popular park, Washington Park is a favorite place to go to for families, especially in the summer. The Gaylord St. section of the park is one of the oldest business districts in Denver founded in 1924. This street brings crowds to its many restaurants and shops, expectedly making the traffic one of the worst in the city. This locality in the northern part of Denver is one of the few locations offering new construction within the city. Stapleton community is located on the former Stapleton International Airport, which closed in 1995 when the Denver International Airport was opened in the outskirts of the city. The Stapleton community has boomed with a massive 12,000 residents and boasts of the 11th spot as the best-selling residential community and number one in Colorado. This planned community showcases urban living with features such as community pools and parks for residents, and well-acclaimed elementary schools. “Best Neighborhoods to Live in Denver” Part 2 will feature suburban communities, such as Centennial, Cherry Hills Village, Lone Tree and more!